Social entrepreneur bridge builder inspiring groups to find their voice and impact the world for the better. Ahmed Bedier is a social entrepreneur, human rights advocate, development consultant and radio show host and a television commentator. Working to bring minorities and people of color to politics and democracy. A native of Egypt and a proud American citizen, Bedier has a passion to create understanding and build bridges between the United States and Middle East and North Africa (MENA) region. 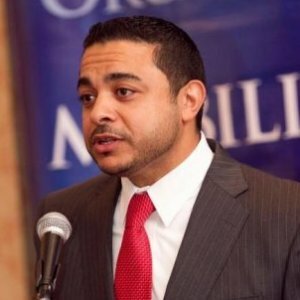 For the past ten years, Ahmed Bedier has worked as a community organizer advocating for human rights. He is President of the Human Rights Council of Tampa Bay, Florida, and serves on the state board of the American Civil Liberties Union (ACLU) of Florida. His strong belief in the democratic process and in change from the grassroots led him to found United Voices for America, which offers programs and training to enable and facilitate minority participation in all aspects of government.